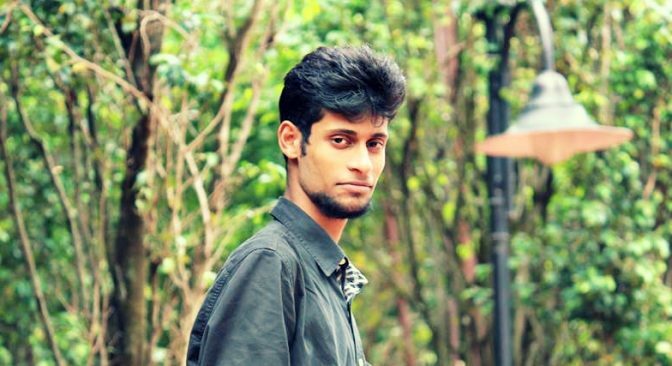 About the Author: Pourab Karchaudhuri, from Dream Institute of Technology, Kolkata, made the most of the opportunities provided to him as the graphic design intern at Brick Box Tech. All of us have aspirations and everyone dreams to be better. But mostly, we yearn to learn something new. I have always been the type of person who constantly looks for answers. I searched for work extensively to find that sweet spot that balances my love for work and my aspirations. I was the head of the Entrepreneurship Cell in college and helped students incubate startups and ventures. Dr. Dipankar Sarkar (the Director of my college and my mentor) introduced me to Internshala. He advised me to explore the site, knowing the kind of person I am. After spending hours on the website, I was impressed by the purpose that they were serving. Internshala was the ideal platform for a person like me. Ever since, I kept getting internships through Internshala, one after the other. Since my daily routine was pretty stacked, I concentrated on virtual (work from home) internships. A few days later, I stumbled upon an internship at Brick Box Tech, with a Play Store app called ‘Knudge.me’. It is a vocabulary app that notifies its users with new words and mnemonics on a daily basis. They were looking for graphic designers to help them with infographics. I readily and eagerly applied and got selected . Soon enough, I got a call from the Operations Manager and had a hearty talk with him. He asked me some basic questions after which we discussed the specifics of the work I was going to be involved in. At the job, I learnt numerous design software other than the traditional Photoshop and Illustrator. After rigorous hours of brainstorming with the team, I realized that I was fortunate enough to garner key skills that ordinary students were deprived of. Apart from an everlasting love for the job, I learned actual teamwork, new technologies, and software implementations through my internship. Now, it was time to put these skills to test. I already was an artist, an engineer, and an entrepreneur. I started working with a new team on our own venture called ‘YOTA Chat’, an app that was already on Play store and had live servers. Here, I worked on the logos, design, and social media marketing for about 4000 vendors across Kolkata. My advice to the future interns would be – stay true to yourselves. Believe in your skills and the field that you are passionate about. Most importantly, believe in yourself. Don’t stop improving and always aim to outdo yourself. Imbibing these principles will help you to become transparent and absorbable into any domain that you choose to work with. Editor’s Note – Do you have aspirations that are similar to Pourab’s? Check out these awesome graphic design internships to take a step closer to your career. thank you for sharing your real life experience with us thanks a ton. graphic designing is something many want to master but very few can. Hope you can achieve more in you life..